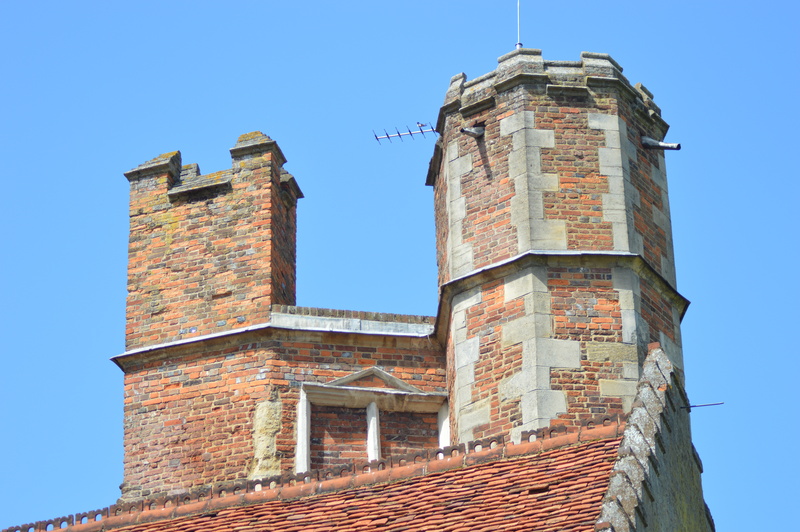 When you arrive at Bisham Abbey, if you know the stories, it pays to look up. Way up high, to the red brick tower. Every window up there seems to be blind. So that inside the tower, I cannot imagine there must be much light; only musty, centuries-old gloom. We had better hope that talk of buildings remembering what happens in them is pure fanciful conjecture. Because if the walls of this tower could speak, it might tell tales on one of the most powerful mothers of her time, and the choices she made. We have arrived, then, at 1522: and Bisham Abbey was empty once again. Henry VIII had despatched the last family who lived there, and he chose to award Bisham to Anne of Cleves in lieu of being married to him. The Flanders Mare accepted it, and she swapped it. Diplomat and ambassador, Sir Philip Hoby, moved in. He passed it to his half-brother, Thomas, on his death. And Thomas brought with him his wife: Dame Elizabeth Hoby. A more formidable woman it would be hard to find. She was one of four intellectually brilliant sisters; the first married Lord Burghley, Lord High Treasurer; the second was governess to Edward VI and the mother to Francis Lord Velarum – one of the candidates for the author of Shakespeare’s plays. Elizabeth was fluent in Latin, Greek and French and used them in translations and tomb inscriptions. 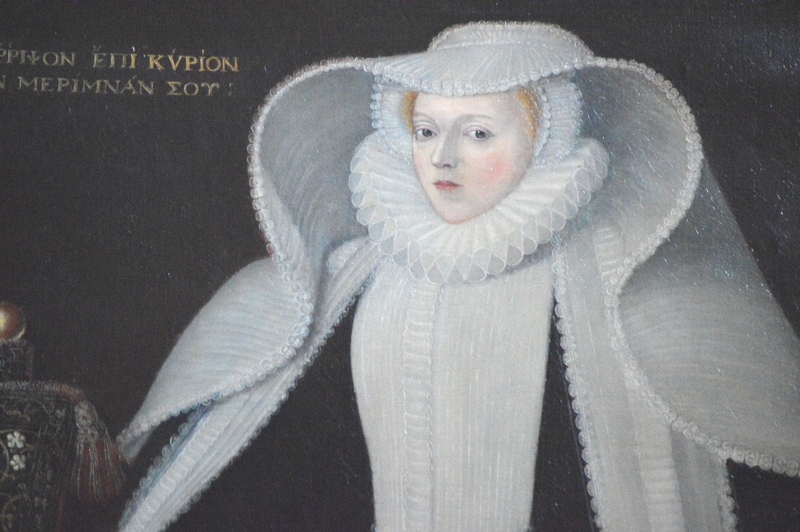 She was ambitious, and a personal friend of Queen Elizabeth I. The stories say she was cold, though there is little evidence to support this. Unless you look at her portrait, hung in the Great Hall. History records four children by that marriage: Edward, Elizabeth, Ann and Thomas Posthumous. But locals say there was another, the youngest: William. And while the rest were dyed-in-the-wool brilliant scholars, William was just not gifted academically, local lore had it. He was dull, and his books were unsightly and blotted, his hand ungainly. He irritated his mother as a grain of sand in the eye. The villagers knew all about it. They would walk the towpath on the opposite side of the river, and watch Elizabeth in the summer-house, striding between the desks where her children sat intent on their tasks. But one passer-by swore her voice would rise to shouts of rage when she turned her attention to her youngest. An observer watched her beat him about the head with a ruler until he was bleeding from eyes, nose and mouth. One Winter’s day it was cold, and everyone repaired to the tower for lessons. As usual, all the others met their mother’s approval and were sent away to pal;, but little William had blotted his work again, and was made to stay behind. Storytellers are lurid in their portrayal of the mother who beat him so severely she drew blood; forbade him to leave the room until the work was finished; and then went out for a ride on her horse. She returned to find a messenger at the front door with a summons from Queen Elizabeth. She must go at once to Windsor Castle; and never did it cross her mind to check on her little dunce, up there in the tower, alone and bleeding. She was away for several days. And when she got back, eventually, she enquired after William. But My Lady, they said, dismayed: we thought he was with you. History does not tell of the flight up the stairs, and who was fastest to open the door and encounter the small, pathetic remains of a little boy. Perhaps history is making it all up. But before you write the story off completely, listen: for in 1840 during alterations, a tenant’s builders found a large quantity of ancient school notebooks. The owner, Mrs General Vansittart, was driven over to see them: and indeed, it was the children’s notebooks, corrected by Dame Hoby herself. It was Mrs Vansittart who found them: a set of scrappy, blotted books. Each, she swore, bore the name William Hoby. As builders are wont to do, they carried them off, contrary to instructions. And the books were never seen again. Posted in Places to visit, Quirks of HistoryTagged Bisham Abbey, Britain, Elizabeth Hoby, england, history, Thomas Hoby, William HobyBookmark the permalink. Doesn’t it send a chill down the spine? It did to me. What an awful witch! It would certainly seem that the local yokels had the rights of it. One hopes she met a sticky and painful end. Btw – I have a Kate-type post for a change! She lived to a ripe old age, Col. She had a thing about funerals and meticulously arranged many, including her own. Her monument is in the parish church at Bisham. But: she haunts the house, wailing and washing her hands, Lady Macbeth style. If the apparition was being swatted by a kid with a ruler that would be most satisfying to see. I hope it’s not true. But if they really found the notebooks…Construction workers have a lot to answer for. They do, even Victiorian ones, Kathy. The two witnesses were adamant about what they had seen. Who knows? It seems that this building has many deaths on its conscience – if a building could have a conscience. This last story is a terrible one and perhaps a warning to parents everywhere. I don’t know, Martin: perhaps another move is in order…. Quite a captivating tale you’ve told here Kate. You completely drew me in. It’s interesting that tortured little William, if he really did indeed exist, does not even rate a grave. What a terrible way to treat a child!maybe he just wanted to play sports. There is always the rather terrifying possibility that a parent can turn into a ‘dictator’, Rob, isn’t there? Such total power they hold that if they have a warped moral compass, there is no-one to stop them perpetuating their own version of the word. For a woman as powerful as Elizabeth Hoby she must have felt untouchable. Now I find myself wondering if he was left-handed. How can any mother (even a not-very-good mother) ‘forget’ about a child? For days? Very good question indeed, Karen. This is so sad to read! That poor child. I’m hoping it’s all just folk lore. It has the ring of an English fairytale, Megan. The mother is wicked enough, for sure….as you say. Let us hope it is all pure fiction. Thanks for coming along and commenting today! All I can say is WHAT A TERRORIZING OUTFIT. I could see anyone being driven mad by that getup and doing dastardly things as a result. No excuse. But dang. I’m scratching over here, at the thought of having to wear such a monstrous thing. No wonder she looks mad. There is a story about a later resident of the house, a VanSittart, being a non-believer in ghosts; right until she stepped out of that portrait and stood next to him. How awful! Awful on all fronts! Dreadful mother, dreadful outcome for poor William, and dreadful that the books were lost! If ever a haunting would be expected, this would be the place, I think. What a sad story! Ah, yes, the haunting: Dame Hoby still walks the place, it’s said, Debra. She appears in the Tower Room whenever there is a coronation: perhaps her obsession and friendship with Elizabeth I is the thing she blames for William’s death. And she can be seen in the grounds with a fountain floating before her, washing her hands and wailing. I am told. Excellent story….wonderful painting….I imagine having to get dressed up like that each morning could easily put one in a bad mood. Quite. It’s a nightmare getup, isn’t it? To be that clever and accomplished, yet unable to take the part in English society that a man with her abilities would have: it must have been crippling. Dear Kate, so sorry to have been away so long. I’m hoping that I’ll become a weekly regular of your blog again. As to this story–it chilled me. It’s both mesmerizing and frightening. And if there were such a child and if his mother was such a shrew then we can all cry for the inhumanity that one person can show another. It would seem, reading today’s headlines of child abuse, that life continues with so little change in human emotions or understandings. I suppose for that woman a son whose talents lay beyond books was a blot on her own character. The hubris. Peace. Hello Dee! Lovely to hear from you! Yes: this story resonated with the stories of child abuse which come on, all too often, on the news. Plus ca change. What a wicked tale, Kate. It is, rather, Nancy. And you know how I love wicked tales. I hope this is just a folk tale. If not, poor William and may this child’s death haunt Dame Elizabeth Hoby for all eternity. You tell a tale beautifully, Kate. Riveting. A horrifying tale indeed!! Dame Hoby deserves that afterlife spent wailing and cursing her hands! I meant wailing and washing!